Aloha Monday everyone! That just doesn't sound as good as Aloha Friday ;) I was planning to link up with Monday Made It today, but I don't know if this is very crafty. I had a few requests for my Common Core Posters in an owl theme. I searched for some cutesy owls and found these from Pink Cat Studio. I just love her graphics! I also grabbed her frames and got busy. I think they are adorable! Makes me want to have an owl theme!! They are both posted in my TpT store and I will get them up in my TN store soon! As usual I would love to give away a set. Please leave a comment with your email and I will pick a random person tomorrow morning. My sister and her kids are on a plane headed to Hawaii as I type. I am sooo excited!! She will be here for two weeks and I will not be blogging much for those two weeks, except for my Workin' It Wednesday posts. So I am off to finish cleaning my house and preparing for a house full of guests. I love these! I am creating owl stuff for my classroom too! I teach first grade. Have you made first grade posters? I love these! They will fit in with my decor! Super cute as always! I'm headed to hang with my sis too! Must be a summer thing!! 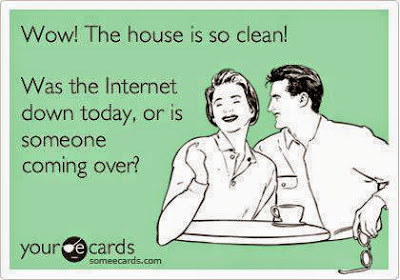 Haha my house only gets "really" cleaned when people are coming over! Have a great time with your sister! I'm moving from K to 3rd next year. I'd love to have these. I'm bringing my cute owl theme to 3rd and these would fit right in! Love these owls! I hope you have a great time with your sister! That is so nice tat your sister is arriving, hope you post some pictures ! I have owls everywhere in my classroom, your posters are adorable :). Almost makes me wish we used the common core! I may have to hire you for our Ontario Curriculum. My signs are not pretty at all !!! Have fun with your company ! These are fabulous! I would love to have them for my owl themed, 2nd grade classroom! Have a lot of fun with your sister and her family. We will all be waiting to hear about all the fun that you had. Enjoy! Thanks for being so creative! I have been looking for a cute owl to use in the classroom. This one is adorable. So stinking cute! I love the owls! I WOULD LOVE THESE! :) THANKS! Wow! Beautiful! These would fit in great with my owl-themed 2nd grade class!